Welcome to our State-of–the Science webpage! The RRTC on Advancing Employment for People with Intellectual/ Developmental Disabilities, housed at the Institute for Community Inclusion at UMass Boston, convened its a State-of-the-Science initiative during the Summer and Fall of 2018. Towards that end, we hosted a variety of listening sessions, both in-person and online, with multiple stakeholders, to share findings and gather feedback on what we know, what more we need to learn, and where we are headed. Our series of events culminated in November of 2017 with our event in Washington DC. Click here for the agenda and click here for the stakeholder feedback materials from that day. Our partners in this initiative include The Arc U.S., Self-Advocates Becoming Empowered, the University of Minnesota, and the National Association of State Directors of Developmental Disabilities Services (NASDDDS). This effort represents a deliberate attempt to involve multiple stakeholders in agenda-setting that will inform the course of future research and promote the knowledge translation that is necessary to move research findings into everyday practice. 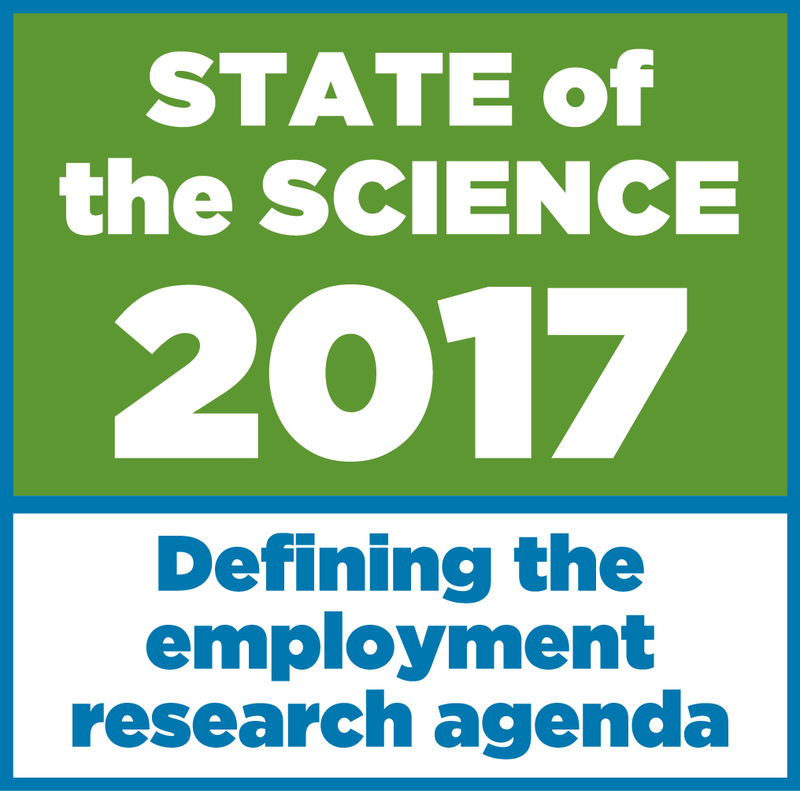 This fall, we shared research about how to improve employment outcomes for people with disabilities. You can also follow highlights on our events using #TWSoS2017 on Twitter and Facebook. For an introduction to our work, you can view the introductory presentation from our 44 event series here. Our events were based on three themes that capture the essence of our work to advance employment for individuals with intellectual and developmental disabilities. Below you can download the accessible and brief versions of these papers. You can follow the topical hashtags for updates and past posts on social media as well.